So I am going to interrupt my series on fashion for a small drama in the continuing saga of living with a teenage boy. Please let me warn readers now that there will be graphic content that may be disturbing to your stomach. I have by now become quite aware of the forgetful power of the teenage boy brain. I am equally aware of the reputation that these once loving, helpful and sweet little boys all have once they turn into the dreaded teenager. An acquaintance was visiting my mother and summed it up perfectly with, “He’s 15. Enough said. I completely understand.” as my mother was sharing that she had a 15 year old grandson. The stories of “I don’t know” and “I forgot” and so many oh so common phrases out of the teenage boy mouth are shared quite frequently between us and our friends in similar desperate situations. And I do mean desperate…what once were functioning active and contributing members of our households have turned into monosyllabic creatures with diminished brain capacity and an attention span and memory of a gold fish equipped with the attitude of a porcupine and grizzly bear combined. And yet, we give these mind boggling boys a license to drive a certified weapon…so really who is the one with diminished brain capacity there. I do love my son greatly and I know my husband does and so does any parent to a teenage boy BUT as I say on another blogger’s page, “Mothers of teenage boys know why animals eat their young.” I have not had the blessing of a girl and I hear that they are a-whole-nother set of frustrations. But I am here to tell you, if it were not for Ms. Clairol and my hairdresser, I would be white haired by now! There is definitely preponderance more of gray than when I first met my son. And frankly it’s a wonder I have any hair left because what little patience I have (remember I keep telling God I’m not going to be learning that one this time around, so he gave me a teenage boy) has all but gone out the window on many an occasion. And I think he is actively trying to make my husband and me bonkers – fully certifiable. See in our house we are working extremely hard on remembering that it is a communal facility and that not everyone likes to live or operate in someone else’s mess. Small things like put your stuff away, the front entry is not a place for your helmet or fishing equipment, dishes go in the dish washer – not to be left on coffee tables, etc. – to the larger things like when you go fishing, you do not leave the worms to rot and die in your fishing box where the decaying order permeates the garage and house as to asphyxiate the rest of us who live there. And no, just because it doesn’t bother you doesn’t mean the rest of us want to smell that nasty odor. I know for a fact that one week and a day ago (8 days…this is important to remember) when I cleaned, the dang thing existed. This is not exactly something that sprouts legs and decides to take a stroll. Frankly, I really think while I might not think it odd these days, I definitely would notice it walking away. My mother joined the search. Mind you my son was now lounging on the couch, slouched while we did his task. I hear my mother call me to his bathroom. What possessed my mother to look where she did is beyond me. I suspect raising two teenage boys herself that she must have had a similar gross experience. I turned the corner into the bathroom and in shocked followed her outstretched arm, down her finger and into the shower where there laid the missing toilet brush…right where my 15, almost 16 year old son, had no other entrance into the shower, had been getting into the shower for 8 DAYS!!! The kid had to have stepped on this thing multiple times!!! Now my son was once so fastidious when it came to being clean that if even a drop of urine fell on his pants after using the urinal he had to change his pants immediately. He would take two and three showers a day. Clothes that were barely worn were once considered dirty just because they had touched his body for more than five consecutive minutes. This was all before he turned 15…before teenager had fully set in. Now an even sadder commentary on the expectations of what our son will do occurred when I texted my husband who was away for the weekend. When I explained to him what his son (yes I had disowned my son for that evening because I can guarantee you I would have noticed a toilet brush in my shower, change blindness be dang) had done, my husband wrote back and said, “At first I thought you were telling me he was using it for a week to shower and clean himself with!” Yep, teenage boys for you. Can’t put anything past them…apparently even washing themselves with a used toilet brush! Stay tuned…I’m so sure there will be more teenage boy exploits. 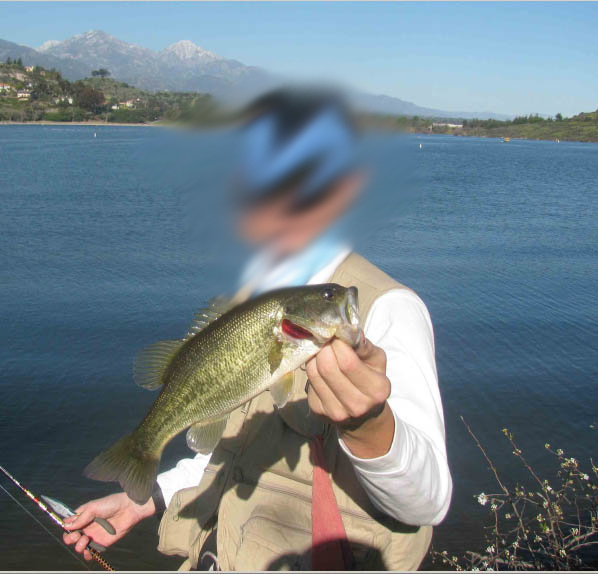 I have blurred out his face to save him some embarrassment but here he is…my teenage son. Yes life with teenage boys ( I have two) is never dull and we wouldn’t change it for the world! My blog article covers my shopping for teenage boy induced items including hair colour and scented candles, I am sure you will relate! Enjoy it all they will be gone before we know it!